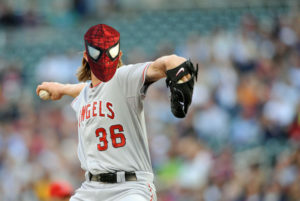 Ever compare your favorite Los Angeles sports stars to superheroes? Yeah, neither did we… but now that we’ve made it a thing, it’s all we can think about! Anthony Esteves from the “Capeless Crusaders” podcast joins the Guys In Shorts for some sports/comic book crossover talk. The guys give their thoughts on our newest Lakers, Luol Deng and the Moz. Kevin Durant heading to the Warriors is all everyone is talking about so of course the guys join in on that fun. Plus the latest on your LA Galaxy, Dodgers and Angels! It’s the podcast Los Angeles deserves!